A key city agency Thursday night gave the green light to $5 million in tax breaks for Amazon’s planned expansion in the Seaport. 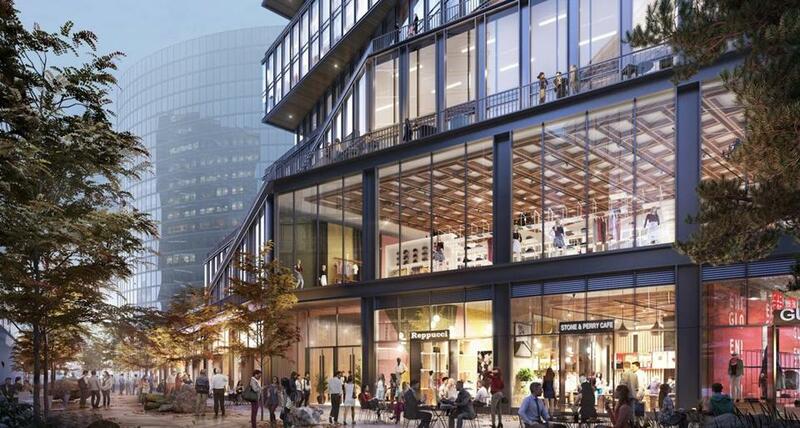 The Boston Planning & Development Agency board voted 5-0 to approve the incentives — to be awarded over 15 years — if the e-commerce giant creates 2,000 jobs by 2025 and leases most or all of a new office building planned at Seaport Square along Congress Street. Under the deal, Amazon could collect a second $5 million if it takes two buildings and adds 4,000 jobs. The vote is a step forward for an 18-story, 511,000-square foot office building that would house Amazon’s biggest office yet in Boston. But it’s not a done deal. Amazon has not signed a lease, and state tax incentives may yet be on the table as well. Blue-chip companies have flocked to new buildings in the Seaport in recent years, and most have not received any city tax breaks to do so. Amazon, however, is bringing more jobs than most, and city officials are eager to build a relationship with the fast-growing retail behemoth. Amazon is also talking with Boston about putting its so-called second headquarters here. Boston and Somerville are among the 20 finalist regions for the massive campus, known as HQ2, which could someday employ up to 50,000 people, and Amazon officials visited last week to look at potential sites in the region. Neither city nor state officials have publicly discussed any potential subsidies for that project. Other states in the mix are readying incentive packages worth multiple billions of dollars. Both the company and the Walsh administration say the company’s Seaport expansion is separate from the H2Q project, and aims to meet Amazon’s need for its anticipated growth in Boston. Amazon employs more than 1,200 people at offices in Cambridge and Boston and is getting ready to open a new office in Fort Point with room for 900 new workers. The company is in line to lease the entire Seaport building, on which construction could start this summer, and would have an option for a second building next door. Amazon has confirmed that it is looking for space to grow in Boston, but otherwise declined comment on the deal. WS Development, which is building Seaport Square, has also declined to comment. Even after the tax breaks, the building will pay far more in property taxes than the parking lot on the site does today, Greeley said, and Boston will add 2,000 well-paying jobs. Amazon will also work with the city on technology job-training programs. And, Greeley said, the deal will help cement the company’s growing presence in Boston.